Another year, another Toyota versus Honda faceoff. Last year, Honda’s redesigned Accord midsized sedan took on the sportiest Camry ever and won. In fact, it wasn’t much of a contest. The Toyota was much improved over its predecessor, but the Honda was clearly the superior car. A year later, Toyota is back with a new contender in a different category. Evolving consumer tastes mean compact crossovers are now more important than family sedans. In 2017, the Camry’s 15-year reign as America’s best-selling vehicle (that isn’t a pickup) was ended by Toyota’s own outgoing RAV4. Across the industry, you can see the same trend. Sedan sales are shrinking while crossovers are booming. Honda, too, sold more CR-Vs in 2017 than it sold Accords or Civics for the first time. The RAV4 is also now built on the midsize version of Toyota’s TNGA (Toyota New Global Architecture) platform, meaning that mechanically it relates more closely to the new Camry than the current Corolla. That means a longer wheelbase, a wider track, and a bit more ground clearance even though the RAV4 is actually now shorter overall. Toyota says it’s also lighter and significantly stiffer than the outgoing model. At the New York auto show unveiling, executives and designers were noticeably proud of their accomplishment. Now to the defending champion. There’s a reason we named the CR-V our 2018 SUV of the Year: Honda absolutely knocked it out of the park with the redesign. Smooth ride, precise steering, supremely functional packaging, gaping second-row space, advanced safety tech, powertrains with crisp acceleration and great fuel economy, and perhaps most important, a fantastic value. Knocking this king off its throne would be a challenge for any newcomer. But looking at the new RAV4, Toyota was clearly gunning for the win. I don’t think anyone came into this comparison expecting to make an easy decision. Take styling, for example. Neither the CR-V nor the RAV4 is conventionally attractive, but both have their own strengths. The CR-V’s looks push the limits of the term “polarizing,” but overall, its design is the more cohesive of the two. The RAV4, on the other hand, will probably alienate fewer potential buyers even if some design elements are better executed than others. The squared-off wheel arches, for example, work well enough on the RAV4 Adventure but look a little out of place on other trims. Then again, this also isn’t a segment where buyers tend to prioritize looks. If it were, the Mazda CX-5 would sell a lot better than it does. But that’s a topic for another day. Open the door to the RAV4, and you’re met with a cabin that’s perhaps an even bigger stylistic leap forward than the exterior. The large infotainment screen sits high on the dash with physical knobs and buttons on both sides, making it easy to read and operate. And depending on the trim, Toyota gives you different colored accent panels and contrast stitching. The seats are comfortable and supportive, and materials mostly feel high quality. There are some hard plastics here and there, but it’s all a massive upgrade compared to the look and feel of other budget-conscious Toyota cabins over the past several years. Rear passengers won’t suffer, as there’s plenty of space for two adults or three children. Plus, materials in the back seem just as nice as they do up front. Perhaps because we’re more familiar with the CR-V, its cabin doesn’t look as fresh as the RAV4’s. Honda also took fewer chances with the design, opting for a straightforward layout. But whereas the Toyota’s interior might look more intriguing, I was quickly reminded why the CR-V won last year’s SUV of the Year award. In addition to the overall premium feel of our Touring model’s cabin, the CR-V’s functionality is truly impressive. There’s so much storage for front passengers that most people will struggle to find use for it all. And although there’s nothing wrong with what the RAV4 offers, if you are a bit of a hoarder, you’ll want the CR-V. It’s just that much better. For those who want the tale of the tape, Toyota did not provide cargo volume numbers, but my tape-measure calculations show the CR-V to have more room for your stuff. There also are little executions that make a difference. For instance, the Honda’s doors swing open much wider than the Toyota’s. That might not sound like a big deal, but parents will appreciate how much easier the CR-V makes dealing with kids and child seats. The CR-V also deserves its own award for clever packaging and functionality. In that same vein, we found that the RAV4’s doors shut with a decidedly downmarket, tinny sound. Almost like it’s missing a piece of insulation or sound deadening. Typically, I’d chalk it up to the alleged preproduction status of our tester, but the Camry’s doors make the same hollow sound. Maybe buyers won’t care, but once you notice it, it’s impossible to miss. Here’s the thing about Honda engines: You never notice them. You push the start button, the 1.5-liter turbocharged four-cylinder fires up, and that’s about it. No one who drives a CR-V will ever think about the way the silky, seamless engine sounds. That’s far from the case with the RAV4. Even commuters with no interest in cars will notice the Toyota 2.5-liter I-4 sounds coarse, unrefined, and obnoxiously loud.  On the test track, the Honda did its best to make up for its acceleration deficit with its superior braking and a better performance in our handling tests. But looking past the raw numbers, the CR-V impressed us with how composed it stayed no matter how hard we pushed it. The Honda was calm and collected; the Toyota, however, had substantial body roll and felt chaotic during hard cornering. Beyond the vague steering and body roll issues, we also felt an unwelcome powertrain vibration through the steering wheel and floor pan in the RAV4 that wasn’t present in the CR-V.
One thing we didn’t expect was how much we preferred the CR-V’s continuously variable transmission. Almost everyone at Motor Trend hates CVTs for their droning power delivery. But Honda makes a good example. Still, no matter how well a CVT is tuned, Toyota’s traditional eight-speed automatic should feel superior and more accurate, right? Wrong. The RAV4’s automatic often felt like it was a step behind our desires, especially when lurching away from rolling “California stops. In day-to-day driving, it’s hard to imagine most owners would push either car that hard. And when they’re driven, as Markus would say, “like a civilian,” the RAV4 and CR-V are “both just nice, reasonably quiet, decent-riding station wagons.” That’s not damning them with faint praise, either. These are two incredibly practical, versatile daily drivers that will make a lot of owners happy. Nothing underscored that point quite like a few hours of highway driving. Starting with the Honda, it didn’t take long for the CR-V to remind me why it’s such a great road-trip car. It was quiet, the seats were comfortable, and it packed an impressive amount of technology. It would be nice if the infotainment screen were a bit larger, but it’s still easy to read and intuitive to use. Most owners will probably skip over Honda’s system entirely, though, opting instead to use Apple CarPlay or Android Auto. That’s probably even more the case now than it was earlier this year now that CarPlay supports third-party navigation apps such as Waze. At least they’ll use it if it works. Thankfully, Honda’s driver-assist features proved more reliable. Impressive, even. Adaptive cruise control sped up and slowed down smoothly with traffic flow, and the lane-centering steering assist reliably kept the CR-V, well, centered in the lane (as opposed to ping-ponging between the stripes). There are systems that are more advanced, but they’re also only available on cars that cost several times more. Since the CR-V has been out for a couple years now, there wasn’t as much to discover or as many questions to answer during that highway stint. The Toyota’s newness, though, made it a little more of a mystery. Switching into the RAV4 served as a great reminder that Toyota’s design team really nailed the interior. Front storage was still an issue, but at least the cabin looked stylish. The seats were also more comfortable and supportive than I remember in the redesigned Camry. It’s refreshing to see Toyota trying harder with its infotainment system. The upgraded 8.0-inch screen sits high on the dash, flanked on either side by physical buttons. It would be nice if the buttons were larger, but I’m glad they exist. The system’s user interface, however, isn’t great. “Entune 3.0 is super slow and unresponsive,” Ogbac complained. “The layout is simple, but you’re left waiting for it to load most of the time.” These quite possibly are prototype issues that have yet to be resolved. Toyota should also be commended for making Safety Sense 2.0, its suite of driver-assist features, standard on the RAV4.  Honda only offers its version, Honda Sensing, on EX, EX-L, and Touring models. The downside is that the RAV4’s lane keeping assist feature isn’t as refined as Honda’s. Reducing the sensitivity helped, but it still struggled to keep the RAV4 centered in the lane as well as the CR-V’s system does. That said, these were more nitpicks than true complaints. And whereas the CR-V was better in some ways, the RAV4 had a few advantages that mainstream customers will appreciate, such as a more attractive design, a snazzier cabin, and better acceleration. I found myself genuinely wondering what we’d do if we couldn’t pick a winner. And if there really were a tie, should the existence of the Adventure and XSE Hybrid trims give the RAV4 the advantage? Depending on how my counterparts felt, possibly so. But when we traded cars again, that confusion vanished. The CR-V’s seats were more comfortable. The steering wheel felt better in my hands. It was quieter on the road. In fact, there was so much less road noise in the CR-V that I was shocked I hadn’t noticed it before. As far as I was concerned, the CR-V was the clear winner. Surprisingly, when we eventually sat down to make an official decision, all three of us were on the same page. The redesigned RAV4 is an excellent crossover, and it’s leaps and bounds better than its predecessor. It’s also possible that Toyota could improve or refine a few things as running changes based on this test. But even if Toyota remedies all our minor complaints in time for Job 1, we’re prepared to defend our decision. 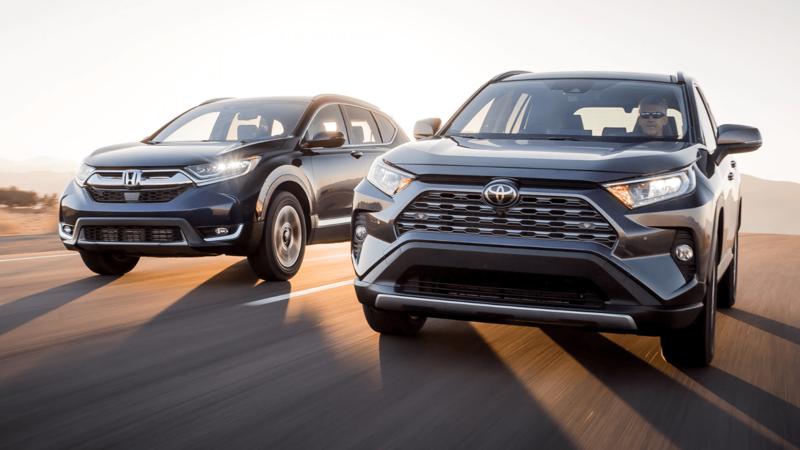 To paraphrase the results of last year’s Camry vs. Accord comparison, Toyota may have built a vastly better RAV4, but the CR-V is still the better vehicle.